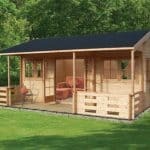 Make a showpiece in your garden with the Marlborough Log Cabin, it is an excellent size combined with superb good looks. 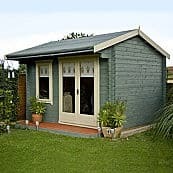 This is an incredible looking summerhouse which would make a perfect extension to your living space. 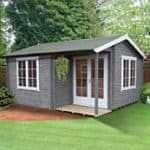 Ideal for entertaining friends or if you need some quiet time with a book and a cup of tea – you could happily spend hours inside. 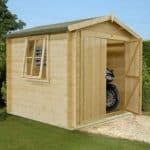 It has generous double doors with glass panels and a functioning window for light and air and is constructed out of strong, durable tongue & groove interlocking timber. 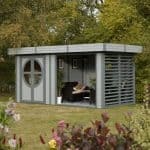 This will make a real feature in any garden. 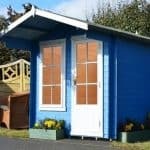 With a 10 year anti rot guarantee it will last for a very long time. This product is home delivered and assembled for your convenience.